This dye is vegan, cruelty-free, and is infused with sunflower, bergamot, and other nourishing conditioners. It is free of synthetic fragrances, which I love, but it still has a smell. This is the best smelling dye I've ever used, hands down. It smells a bit like Earl Grey tea, hence the bergamot. Around the time I bought my dye, GDY was donating $1 of every product sold to different charities, depending on the product. All the charities they chose are doing very important work so I was glad to know that my purchase would support one of them and also that I was buying from a company that shares my values. My package arrived fairly quickly and came with some free stickers. Lemme tell ya, free stickers are the way to my heart. 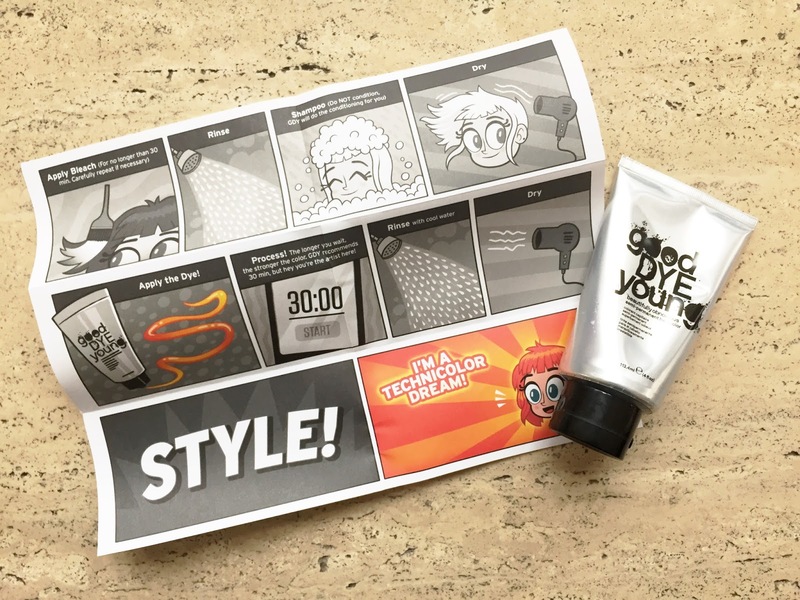 Plus the adorable comic strip style directions! Unlike the last time I dyed my hair, I did bleach it this time. My reddish-roots looked bad, my hair color was uneven, and I had a lot of color banding going on. As much as I hate bleaching my hair, it needed to be done so I sucked it up and did it. My hair could have done with some more processing time and some toning, but it was good enough for me. If I cared about it being done perfectly I'd be going to a salon, right? On GDY's website they recommend buying 2 bottles of their dye, but I only bought 1 bottle of Blue Ruin so I was a bit worried I wouldn't have enough to cover all of my hair. I mixed in a little of my Eva NYC Therapy Session Hair Mask to make the dye go further and because after bleaching, my hair needed it. I used my dye brush to scoop out two little heaps of it, mixed it with all of the dye and it didn't seem to dilute the color at all, which I was happy about. My hair is about bra strap length, pretty fine in texture and I had enough of my mixture to completely saturate my hair, but I didn't have any dye leftover for future touch-ups. I applied the dye basically undiluted, left it on for an hour, and the color turned out very similar to Manic Panic's Rockabilly Blue, if you're familiar with that. 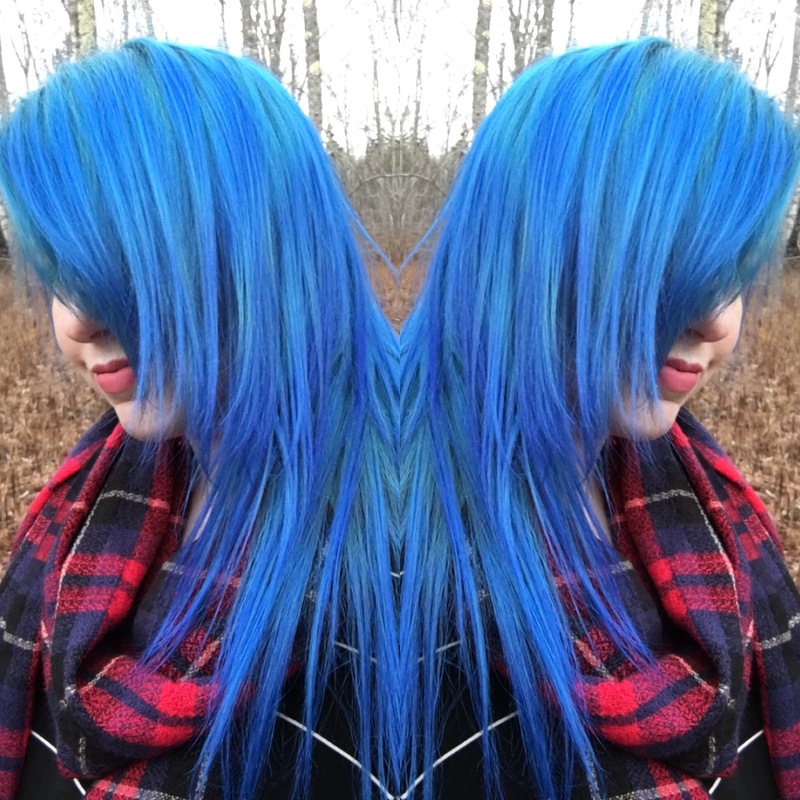 Hella blue. As with most blue dyes, this dye stains-- a lot. If you use this dye definitely coat your hairline, ears, and neck with Vaseline, coconut oil, or whatever else you prefer to prevent staining. I skipped that step and I was stained blue in those areas for a week. You may want to use gloves when rinsing your hair if the blue hand look isn't for you. I also recommend rinsing this dye in the sink or under the tub faucet, bonus if you can get someone to help you, especially to help keep the runoff off of your face. For about a week after I dyed my hair I was having a lot of issues with the color bleeding. It was all over my hands and neck all the time, it was staining my pillow cases and clothes, and I would wake up with huge blue blotches on my face, as would my husband. I'm used to hair color staining, but it was a bit excessive. I just wanted to wake up in the morning without having to scrub a giant blue line off the middle of my face, ya know? Because of the bleeding I wasn't so sure that this dye was for me, but other factors made up for that. It's certainly not lacking in the pigment department. I probably could have diluted it a lot more than I did and still had super vibrant color. Once the bleeding phase was over, the color clung to my hair and didn't let go. I was shampooing it quite a bit more than usual and it barely faded compared to other dyes and usually my facial cleanser would make the dye fade on my hairline around my face, but this dye didn't budge. During the dyeing process, I noticed the consistency of GDY is thicker than others I've used, which it made it so much easier to work with. The reason why I put off purchasing this dye for so long was, in a nutshell, money. There aren't many colors available right now, no green dye, so I would have had to purchase more bottles to mix the color I wanted, thus spending even more money. One 4oz bottle of dye costs $13.99. In comparison, a 4oz bottle of Arctic Fox dye is only $7.99 and they have many colors available. GDY is also only available through their site right now, so I couldn't shop around for the cheapest shipping methods. (UPDATE: a selection of GDY is now available at Urban Outfitters). Despite the color bleeding, I absolutely love this dye. I didn't have much faith in it at first, but it's my new favorite. The pros outweigh the cons. The slightly higher price and shipping costs are worth it to me since the color stays so vibrant for so long and I'm sure I can figure something out to minimize the bleeding. I don't think I'll need to dye my hair again anytime soon, but I've already placed another order with GDY. I've heard that they are planning to release more colors in the future and I can't wait for that! You know that color bleeding issue I mentioned? Well, I figured out what I did wrong. I definitely did not need to use a full bottle of this dye (although they recommend the use of 2 bottles). I refreshed my dye and used just a little bit of dye and diluted it a lot with my conditioner, and it barely bled at all. The bleeding wasn't even close to what I experienced before. 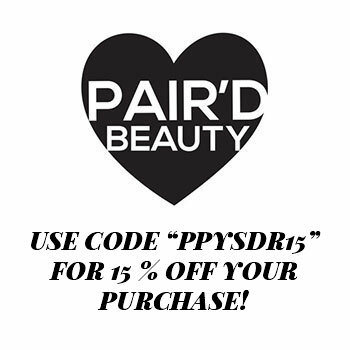 So in a nutshell: even though their site recommends 2 bottles, you probably won't need it because this dye goes such a long way and this dye is an even better value than I originally thought! Rejoice! goodDYEyoung now offers shipping at a flat rate of $8 and free shipping for orders over $40! Today GDY launched 4 new shades, expanding their color range to 10 (including their Fader product). The new shades are purple, green, teal, and black. 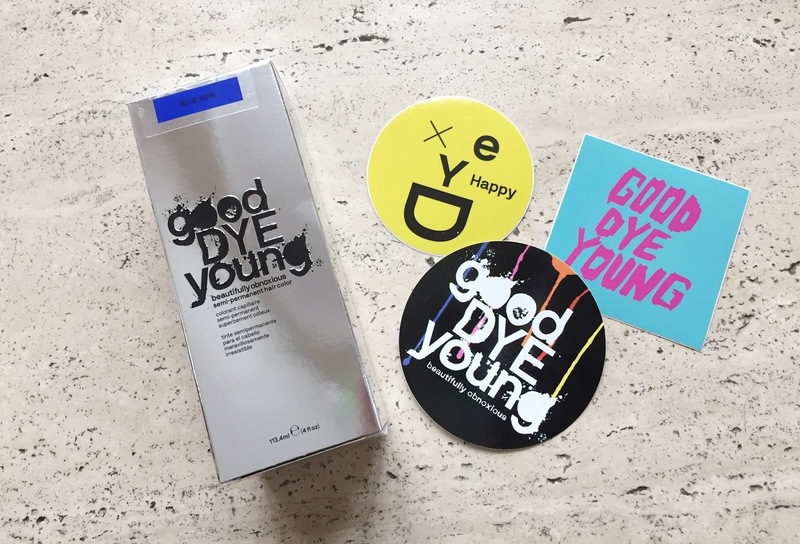 7 comments on "Review: goodDYEyoung Hair Color- UPDATED!" How long was it until it faded? 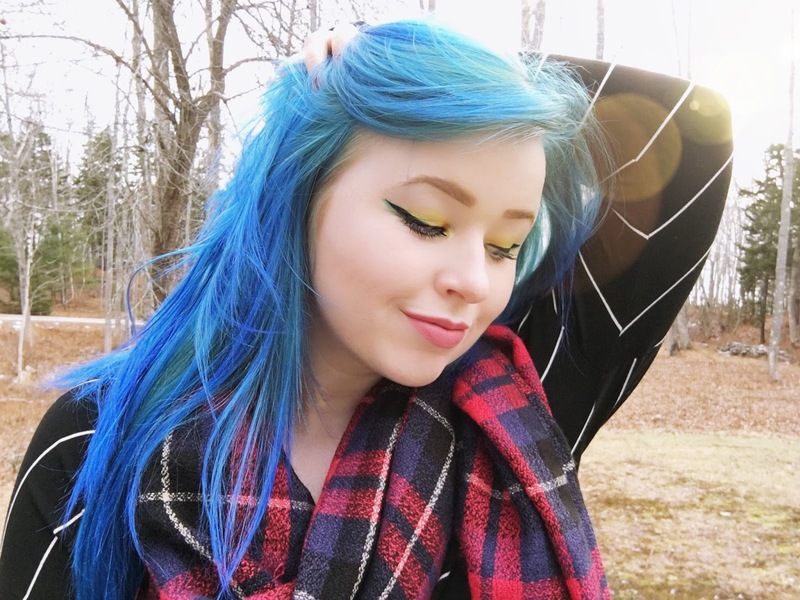 I had this color in my hair for about 4 months, and while it did fade a little bit, it remained pretty vibrant the whole time. 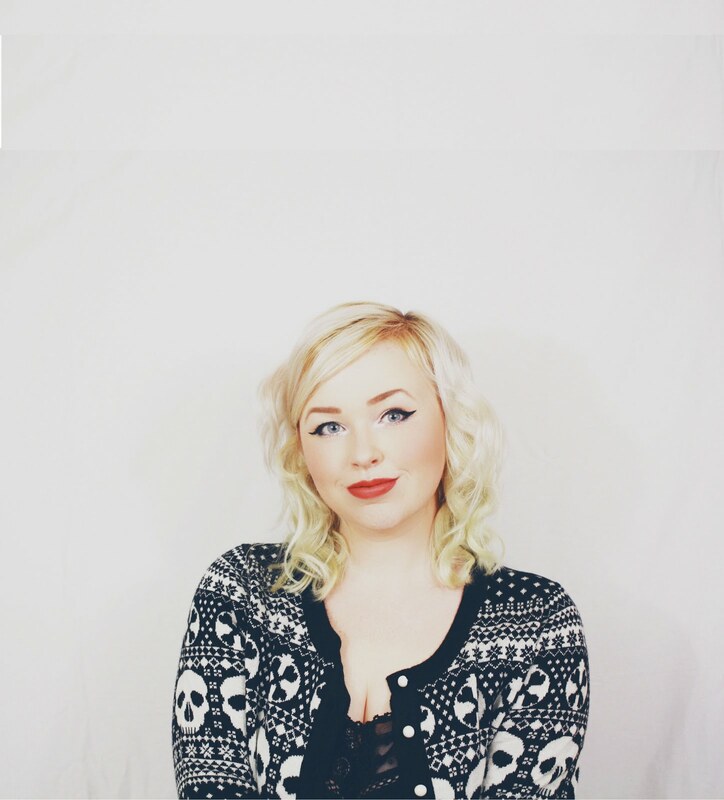 I never needed to do any color touch-ups, minus my roots. When you use shampoo, does it fade it ALOT? It doesn't for me. I use color safe, sulfate-free, and paraben-free shampoo and I wash my hair every day or every other day with hot water. 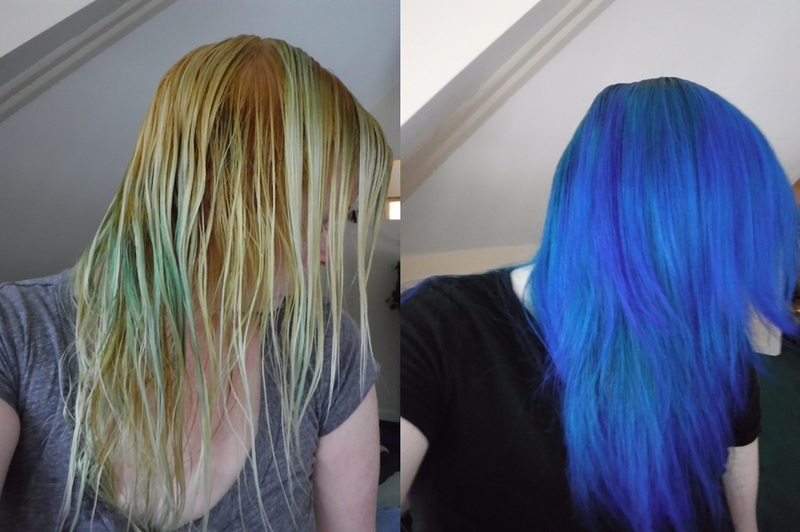 Sometimes when rinsing it would look like it was bleeding a lot, but when I dried my hair it was still super vibrant. The right shampoo really does make a difference, though!